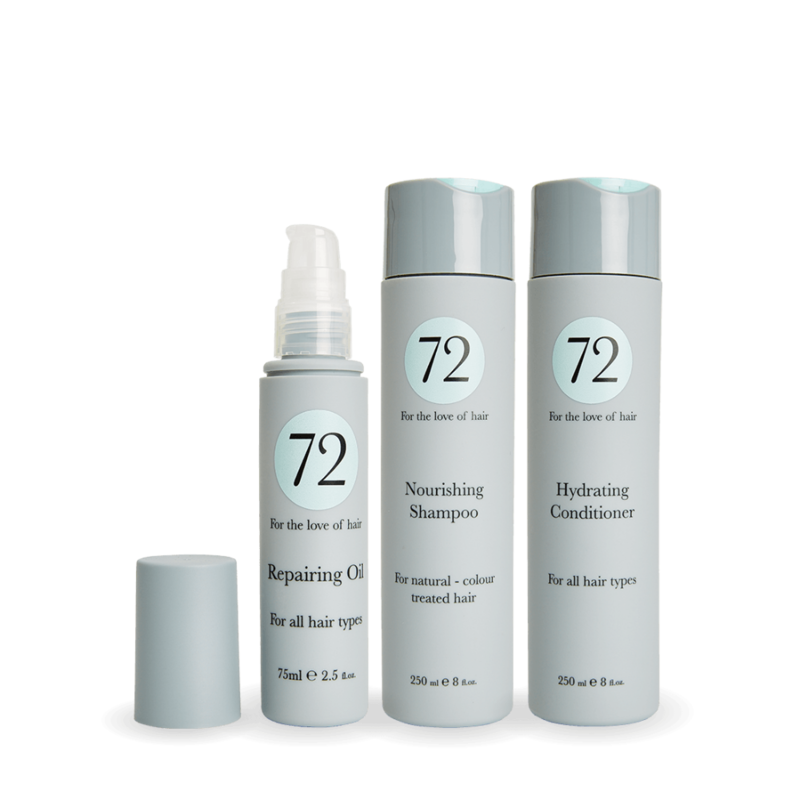 The 72 hair nourishing collection is for natural or colour-treated hair. 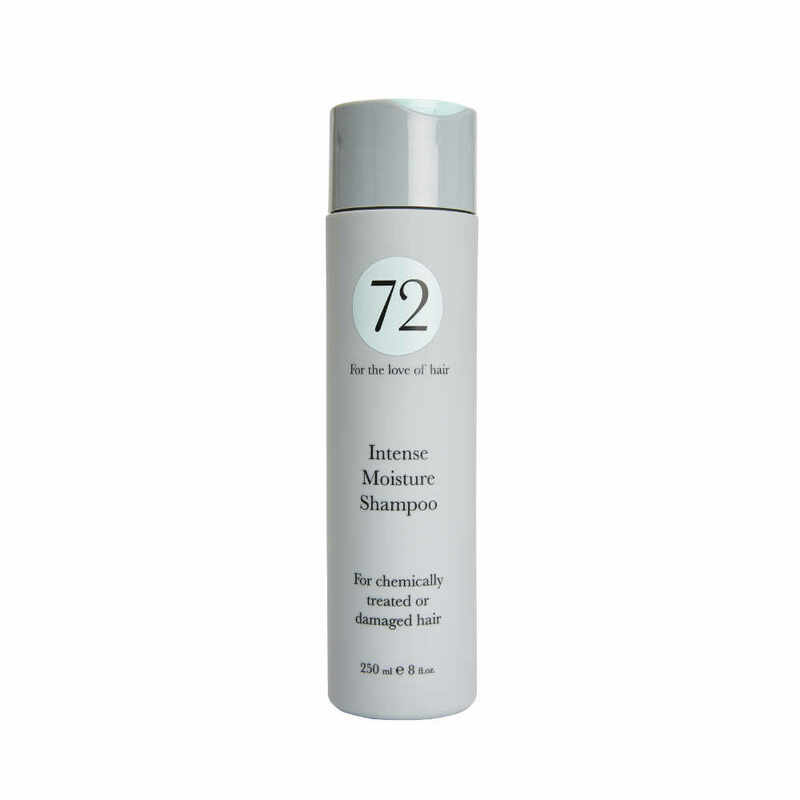 The luxurious Nourishing Shampoo is formulated to add strength and moisture back into your hair. 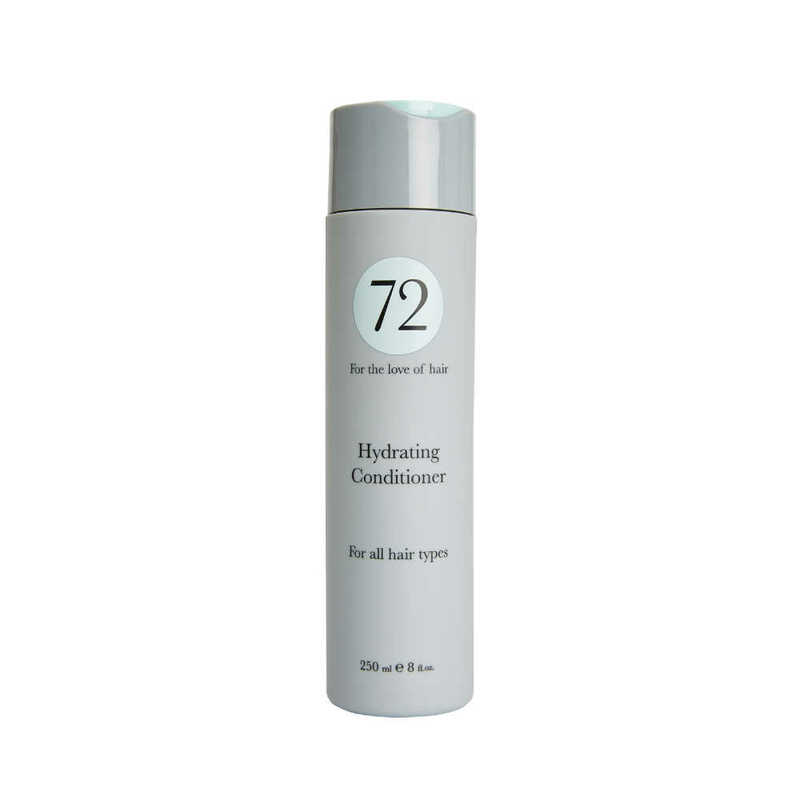 We pair this with the Hydrating Conditioner to protect hair against sun, pollution and UVA damage. 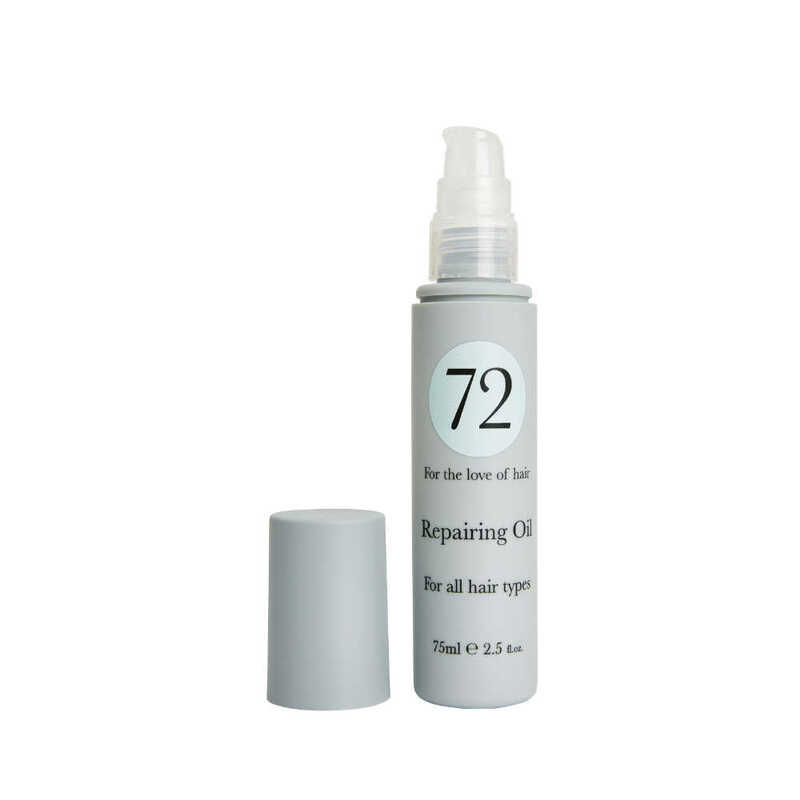 Finish with our Repairing Oil to eliminate frizz and add radiance.